Representative Cole Hefner is appointed to Appropriations, Transportation, and Local and Consent Calendars Committees. 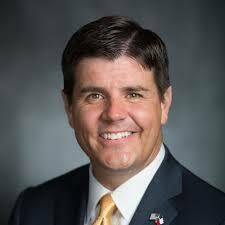 Austin, TX –Today, Representative Cole Hefner (R-Mount Pleasant) was selected by Speaker of the House Dennis Bonnen (R-Angleton) to three Texas House committees: Appropriations, Transportation, and Local and Consent Calendars. The Committee on Appropriations will craft the House bill for the state budget; the Committee on Transportation will have jurisdiction over highways, vehicles, and other state transportation issues; and the Committee on Local & Consent Calendars will determine the priorities for floor consideration of bills and resolutions that are local or will be uncontested. State Representative Cole Hefner is currently serving his second term as the state representative for House District 5, which consists of part of Smith County, as well as Camp, Morris, Rains, Titus, and Wood counties.